When Noa Torson woke up, the first thing she noticed was that her feet were cold. 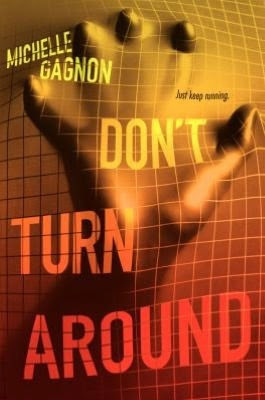 I've had Don't Turn Around for just under a year now, and I probably wouldn't have picked it up if I wasn't writing a recap for Recaptains. I don't know, it just never really appealed to me to the extent of having to pick it up RIGHT NOW. Some books do that to me, you know? It turns out that my intuition (that I never knew I had, mind you) was completely on target with this book. It's okay, it's good, it's average. Nothing in particular stands out to me, but I did enjoy it. 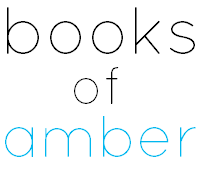 The book is told from a couple of points of view, the most prominent being those of Noa and Peter. Out of the two, Noa is definitely my favourite. Peter was very bland, and to be honest I don't care about what happens to him. He could walk off the face of the Earth and I wouldn't notice. For a supposedly smart computer hacker, Peter did a lot of stupid things. He wasn't appealing in the slightest. Noa is everything a great female protagonist should be: intelligent, quick-witted, interesting. I really enjoyed gradually learning about her backstory, and how she came to look after herself. There is a good chunk of information on what Noa's life was like growing up, which Gagnon covered really well. The only negative - and I don't think it even counts as a negative - for Noa is that she was missing that spark that would have made me adore her. She's forgettable, and she's already moulding in with the rest of the "just good" YA characters for me. There is a lot of action in this short book, which worked well with the feel and the pacing of the novel. There were only a couple of slow moments, which I didn't really mind because it was realistic for the characters to have a few hours to cool down until they were back to being chased by crazy people again. I was also grateful for the lack of romance. I was expecting instalove between Noa and Peter, I must admit. And while there was something there between them (although some people might try to tell you otherwise), it was hardly even relevant. It didn't annoy me, and to be honest I completely ignored it. Since Peter is so dull, it was easy to do so. Don't Turn Around didn't seem very mysterious to me. While the characters were running around chasing their own tails, I was ten steps ahead of them and frowning at the pages. I thought it was pretty obvious what the bad guys were up to, and what their whole mission was. I was hoping to be shocked. Alas. Can I just point out that Noa has a Guardian Angel kind of person? BECAUSE SHE DOES AND IT WAS AWESOME AND I HAVE A SHIP. It took me a good 80% of the novel to actually get to that point, but once she met the person who had been looking out for her the entire time, I was gone. And said person isn't even my type. What is going on. The ending of Don't Turn Around was my favourite part. I loved the pacing, and I loved meeting the mysterious protector (hello, new ship!) and the very last scene gave me chills. If it wasn't for that ending, I doubt I'd be picking up the sequel to this book. But the ending did happen, and it was great, so I'm actually really looking forward to Don't Look Now. I wish I could say it was for more reasons than my ship and Noa's badassery, but that would be lying to you and I don't do that. Bahaha, Peter was definitely boring. What a snore. Do I like Noa or my girlfriend? Doesn't matter, Peter, but you should lock one down, since you're lucky to be getting any at all. Noa, however, is totally badass, minus her attraction to Peter. She does lack the spark, though, I agree. But yes the romancey stuff was minimal, which was cool. Love the mental image of you frowning at the pages. I also picture you shaking your head and asking them why they're "so bloody stupid." Why do I not remember this guardian angel person? Also, LOL at you and your ships. Hahahaha! He should definitely count his blessings, because I'm pretty sure no one else would be interested. That's exactly what I was asking! You've got this British stuff DOWN. I don't knowwwww, why don't you remember?! *cries* I don't just have ships, I have an armada. Just finished reading the book and really enjoyed it! I can't wait until the next book! So glad you liked it! I'm currently putting off doing a recap of it because I just can't be bothered.